Inspire® 500 is rated 2.4 out of 5 by 61. Rated 5 out of 5 by Matt Hank from great features the best for price and me, thank you at all. reconsider again. Rated 5 out of 5 by Jraudsepp from Really cool Good quality, good price, awesome sound. 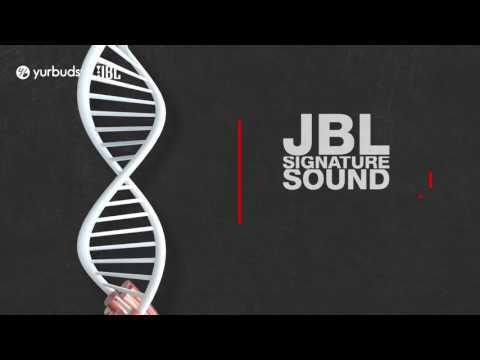 JBL Quick shipping. Rated 5 out of 5 by Chainsaw from Great sound Sync with my s8 with no problem. Run several miles every other day and they do not fall out or get uncomfortable. Sound is great. Rated 5 out of 5 by Pooh from Love! I bought these 6 months ago and use them often. I love them for hiking and walking and connecting to my phone with Bluetooth! I'm buying more!! My headphones had been working great for the past two months, but today will not connect with either of my devices. Is there a hard reset that I can do? Same problem can't pair with any of my devices. Had these ear buds for 2 months can't pair with anything I tried everything even what customer service said &amp; nothing wish I had read the reviews before. Now a waste of money! Anyone reading do not buy all the bad reviews are true don't waste your money! Last question (I hope)! When I answer a phone call, can I chat to someone if the cable (and mouthpiece) is behind my neck? The mouth peice is next to your neck, where the controls are. The piece on the back is a battery. I just received the earbuds as a gift. I am trying to charge them.The light was on for a bit and then shut off. I understood that it is fully charged when the light turns red. I've tried different chargers. How do I know if it charged? When charging the Inspire 500, the light will be a solid red. When fully charged the light will shut off completely. It typically takes 2 hours of charging time from 0-100% if using 110V-120V. The INSPIRE 500 should be able to connect with the Apple Watch 2. Use these steps to pair: 1. Put your INSPIRE 500 in pairing mode by pressing the power and volume up button for 3 seconds while it is on. The light indicator should start blinking blue quickly. 2. On your Apple Watch, tap Settings &gt; Bluetooth. Your Apple Watch will search for nearby Bluetooth accessories. 3. Choose the INSPIRE 500 and it should connect. The INSPIRE 500 is compatible with the Apple Watch 2. Many users encountering Bluetooth connectivity issues with headphones find that resetting the watch and retrying the connection resolves the issue. Please try this out. If you are still having issues, please submit a case at jbl.com/contactus and our Customer Service Team will be glad to assist you. Why isn't my inspire 500 working for phone calls? I can hear the other person but they can't hear me. Why?? I am sorry to hear about the issue you are having with your INSPIRE 500. It seems that we have some issues with its microphone feature. You could try checking it microphone if by any chance its covered by any substance. If you need further assistance, you may submit a case at www.jbl.com/support-contact.html and our Customer Service team will be glad to assist you. Will these fit women with small ears or do women have to pick one of the colors? Thank you! The INSPIRE 500 comes with size 5 and size enhancers when purchased. For women with small ears, we do recommend the INSPIRE 500 for Women which comes with size 4 and 5 enhancers. This are specifically designed for people with small ears. We are sorry to hear that you are having issues with your INSPIRE 500. Please try a different charger and try to plug it into a different power source. If you are still having issues, please submit a case at jbl.com/contactus and our Customer Service Team will be glad to assist you further.